U.S. Senator Gary Peters is calling for a review of the Environmental Protection Agency's PFAS Action Plan. Senator Peters and a group of colleagues sent letters to a number of agencies this week, including the EPA and the Department of Health and Human Services. The lawmakers are asking for documents related to the interagency review of the EPA's PFAS Action Plan, which was released last month. In his letter, Peters says the plan does not include a commitment to establishing a drinking water standard for PFOA and PFOS. Those are two of the most commonly found PFAS chemicals. Peters also says the EPA has also failed to release its groundwater cleanup guidelines for PFAS chemicals. He says the guidelines have been stalled since last August due to a dispute over how strict the guidelines should be. Peters and his colleagues want to review all communications between the agencies that reviewed the plan, including emails, text messages and call logs. A Defense Department official told a congressional committee that cleaning up PFAS contamination at current and former military bases carries a hefty price tag. 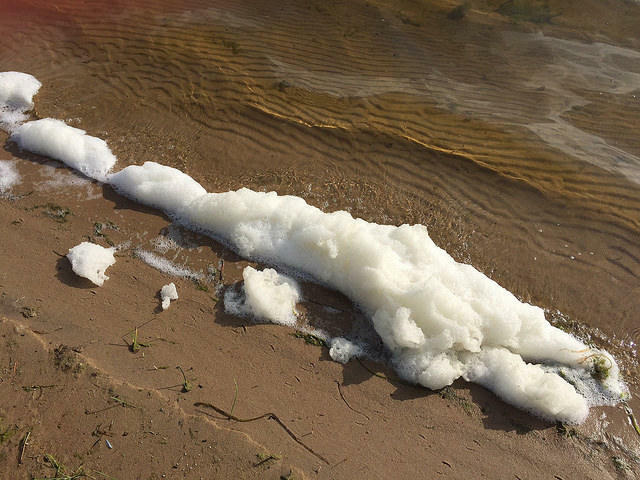 The Michigan Department of Environmental Quality has released results of a 2018 state-wide sampling of public, school and tribal water supplies for per-and polyfluoroalkyl substances, or PFAS. Of 1,114 public water systems, 119 have been found to contain some level of PFAS. No tribal water supplies contained PFAS.